Just getting started with motorcycling? This best beginner bike guide will offer a plain language guide that is free from motorcycle techo-speak. First we'll look at things you should consider when purchasing your first bike, covering some of the basics, and what to look for. Then we'll move on to a basic discussion of the styles of motorcycles and finally some of the bikes you might want to be riding this summer! One of the first factors that is going to affect your decision about what bike to buy is your budget. How much do you have to spend? We’re going to limit the bikes we look at to those that are priced below $6,000. When determining your budget don’t forget to account for riding gear! At a minimum you’re going to need a DOT/Snell approved helmet, a jacket, gloves, and proper footwear with some ankle protection. Many people also ride with protective pants too which certainly isn’t a bad idea. If you end up buying a new bike at a dealership they’ll typically give you a discount and may even work the amount into your financing. Some manufacturers even have promotions that they include some of the necessary safety gear with the purchase. DOT and Snell are safety standards for motorcycle helmets and in Canada you’ll need at least a DOT approved helmet. Snell helmets go through some more rigorous testing and the helmet manufacturers must submit helmets for testing. Snell standards meet or exceed DOT standards. If you’re interested in exploring the topic of helmets further you may want to check out our helmet article. Can't decide what color helmet to get and think black may be best... Well, maybe not. You should ride a motorcycle like you're invisible to others on the road. Many accidents involving a vehicle and a motorcyclist are because the driver of the vehicle "didn't see" the motorcyclist. Making yourself highly visible is important - a concept referred to as 'conspicuity.' Some say that brightly colored helmets stand out more to drivers. Yellow and white are supposedly among the best. Try on lots of helmets before you buy and make sure you do a roll off test. A roll off test is basically when you put the helmet on your head, strap yourself in and try to pull it off from the back by rolling it forward. Failing this test means is doesn't fit. Helmets should be quite snug! They're no good if they don't stay on your head. It may take trying several different brands and sizes to find the right fit. Full face helmets are generally recommended as the safest type of helmet because they also protect your jaw in the event of a crash. Lots of people sell jackets and other gear so keep an eye on classified ads - you can pick up some good deals. Online motorcycle forums in your area are an excellent place to look for used gear and motorcycles. Check out our Regional Resources page for popular forums in your area. A new DOT approved helmet can be fairly inexpensive to purchase so you may want your own new helmet as you never really know how helmet is treated. That being said, people often sell perfectly good helmets because they want something to match their new bike, or their tastes may have changed. Just because a helmet costs more doesn't mean it protects better. Mid-range helmets are a good place to look as they'll have the right blend of safety, comfort, features, and quietness on the road. Quietness is an an important factor to consider especially if you'll be on the highway because over the long term you can suffer hearing damage (just pick up a few cheap pairs of ear plugs to protect yourself from this). Don’t forget about taking a rider training course! You can learn on their motorcycles and drivers test is typically included in the cost. A very popular training course in Canada is the "Gearing Up" program offered by the Canada Safety Council. Some dealerships offer discounts for those who’ve passed the test and insurance companies too. Not only will it help teach you to ride safely, it’ll often pay for itself in discounts you’ll receive. Are you handy? Is your budget really tight? These factors may influence your decision about whether you want to get a new bike or a used bike. There are certainly some advantages to buying a new bike; you know what you’re getting and it’s going to be under warranty. Most motorcycle manufacturers offer a 12 month, unlimited mileage warranty. Buell is an exception in this price range and offer a standard 2 yr warranty. Extended warranties can usually be purchased if you want. Many bikes need to have their “first” service done at the 1,000 km mark and it’s typically not covered under warranty. Expect this to set you back a couple hundred dollars give or take. Provided you find a well maintained one, used bikes may have an advantage in terms of affordability. There’s always somebody selling a motorcycle or trading up to something newer/bigger/faster. When buying used you forgo the big depreciation hit once you take it off the lot. Bikes tend to depreciate heavily in the first few years then prices stabilize and depreciation rates slow. Another advantage of buying used is that people often buy costly custom parts for their motorcycles that you can get for a fraction of the new cost. Getting them used is the way to go. It is a “let the buyer beware” situation and you don’t always know what you’re getting with a used bike. It may be wise to get a used bike that you’re serious about checked out by a mechanic before laying down your cash. Because of our strict insurance regulations many people conducting a private sale will be very hesitant to let you take their bike for a test ride. In a lot of provinces test riders will be covered under the owners insurance or may not be covered at all. Insurance companies typically suggest owners not allow test rides. Old or rare bikes can seem like good deals but finding and buying parts can sometimes be tricky, not to mention expensive! Rare motorcycles or brands that are not very popular may be more difficult to get service on too. Is there a dealer locally who will be able to service your bike? Lot’s of people suggest buying used because they say you’ll definitely drop the bike and scratch it up a bit when just starting out. The idea is that you won’t mind those character flaws on a used bike as much as a new one and they won’t cost you as much in terms of resale. I don’t totally buy into the “you’ll definitely drop your bike” suggestions. Yes, the likelihood of dropping the bike or having an accident is greater when you're learning but I bought my first bike new and I never dropped it. Be contentious and take the proper training and you'll reduce your likelihood of accidents. Riding a motorcycle requires a lot more mental alertness than driving a car – if you’re on a bike you need to be thinking about what you’re doing. That’s part of the attraction of it! There are several different styles of motorcycles. The list is long but the basic types can be described as standard, cruiser, sport bike, touring, dual-sport, and off-road. Touring bikes are typically designed with intermediate and experienced riders in mind and are a little more costly. Off-road bikes are designed for strictly off pavement use so we’ll knock those two off the range of bikes we’ll be looking at. Standard – The foot pegs and shifter are located either below the waist, slightly forward, or slightly rearward in a "natural" stance that creates a very comfortable, ergonomic upright seating position. Handlebars are upright and designed not to put pressure on the wrists or tailbone. Some bikes in this category will have little or no fairings (plastic covers) covering the bodywork of the bike. Fairings help cover up the bike mechanicals and also may provide some protection from the wind and other elements. They're also terribly expensive to replace if you scratch them up. Cruiser - Foot pegs and shifter are either set forward of the body like so your legs can stretch out. It creates a comfortable, laid back seating position. These bikes generally have very little in the way of wind protection aside from a windscreen in some cases. Sportbike – The foot pegs and shifter are located rearward from the waist. The rider is in an aggressive riding stance that creates a very streamlined, aerodynamic profile. Handlebars are low and put you in a tucked, aerodynamic position. This riding position can put pressure on the wrists, and can be uncomfortable for long rides. Dual Sport – The foot pegs and shifter are located below the waist in a "natural" style which creates a very comfortable, ergonomic upright seating position. Handlebars are upright and wide to allow easier slow speed turning and to not put pressure on the wrists. This style has a basic look, exposed engine, long seat, light weight, minimal plastic, higher seat height, long suspensions, and usually no fairing. By size we’re referring to a few factors; one being the seat height, the other being the size of the engine. New riders or those who are a little shorter in the leg will want to pay particular attention to the seat height of a motorcycle. Look for something that you’ll comfortably be able to put both feet flatly on the ground when sitting on the bike. Dual sports will tend to have higher seat heights of the different styles. Check local laws concerning licences. Often licencing is tiered and you may be limited to riding a bike under 550 cc if you take the test on a bike that size or all motorcycles if you test on larger engine motorcycle. Ask the company running the training course you're taking, you are taking one right!, if they offer the rental of larger motorcycles to take your test on if that's something you're interested in. Engine sizes of motorcycles are normally expressed in cubic centimeters. It’s the volume of gas inside the cylinder(s). The bigger the cc displacement the larger the bike’s engine is generally. As a new rider you should focus your attention on the smaller displacement bikes. Beginner bikes with engine sizes from 125 cc bike to say a 500 cc bike will offer smooth easy to handle power. Bigger engines are heavier and can be much more powerful, making them difficult to learn on. The power-to-weight ratio of many sport bikes gives them the performance of luxury sports cars costing hundreds of thousands of dollars; incredibly dangerous in the hands of a beginner! Unlike a 600 cc or 1000 cc sportbike that can exceed posted limits on most roads in only first or second gear you'lll get to use all of the gears on your smaller displacement bike. Working though the gears is part of the joy of riding a motorcycle. It'll make you a better rider if you choose to get a bigger bike in the future. These smaller displacement bikes offer a much more forgiving power output. If you crack the throttle a little too hard or let out the clutch a little too fast you won't end up on your back on the pavement wondering where your bike went! The amount of power an engine produces isn’t only based on its cc’s. A smaller engine with the ability to cycle faster (higher revolutions per minute) can produce more power than a larger engine that moves slower. Speed is also affected by the gearing of the motorcycle too. Some bikes will have a 5 speed transmission and others a six speed transmission. So despite what you may have heard… bigger is not always better! A 125 cc bike will be suitable for many beginner riders and very capable for city use, secondary roads, and occasional highway jaunts - though you'll likely want to keep it relatively short. Highway speed will be at about the high limit of the 125 cc class. A 250 cc bike will be capable for all roads and will have a little more punch at highway speedsl. A 500 cc bike will be best able to handle longer highway rides. You should have no trouble moving at the speed limits on any Canadian road on a 500 cc. If you’ll eventually want to ride with a friend a 500 cc bike will provide the power you’ll need. If you're large in terms of height or weight the larger end of the scale may suit you best. On the smaller bikes in the 125-250 range you’ll need to plan your highway passes well in advance and they will require some down-shifting to keep the engine in a usable power range. You’ll need to plan ahead. The dual-sport bikes typically have lower maximum RPM's than you'd have on the sportbike class bikes so you'll need something a little larger than a 125 cc dual-sport if you want to spend some time on the highway. Another benefit of the smaller engines is that they're typically 'very' fuel efficient. Fuel economy over 40 and substantially more is not uncommon in this category. This makes them popular with commuters, people wanting to reduce their fuel consumption, and people who are getting a little fed up with the rising costs of gas. Switching to commuting in a big SUV to a small displacement bike may well pay for itself in a a few short seasons. If you'll be spending a lot of time on the highway at high speeds you may want to look for a 500 cc bike or maybe even a mildly tuned 600-650. These bikes will be more difficult to handle initially but if you drive within your ability and you're smooth with your throttle control it's worth considering. 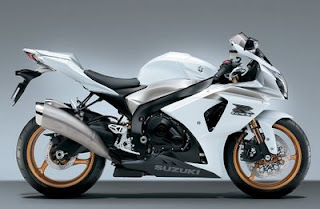 A 600 cc sportbike does not fall into the category of beginner bike! These bikes are real powerhouses and require a lot of throttle control. You can get yourself into a lot of trouble really quickly on this type of bike. The Internet is full of stories of people cutting their lives short starting out on bikes designed for experienced riders. Big cruiser category bikes are not for beginners either. Recently I read a tragic story about a man who purchased his first motorcycle (a big powerful cruiser) who died as a result of crash before even leaving the parking lot of the dealership. A word on riding with passengers - it’s generally not advisable to ride with a passenger right way. It’s best to wait until you get some riding time and experience. Many suggest that after a year of riding you’ll be better equipped to carry a passenger. There are some 650's on the market that would be suitable for a confident and mature new rider to start on as well. A 650 may be a little more challenging to learn because they are heavier and may have quite a bit more power. Because of that extra power you might be more likely to keep the bike longer as your skills grow and are better able to take advantage of the additional performance offered. Most 600 cc and up bikes cost more than $6000 new though so don't fall into the guidelines of our review. Some models to look for would be the Kawasaki Ninja 650R or Versys, Suzuki GSX650F, most cruisers in the 600-650 range would also be okay. The engine displacement size may also play a role in the amount you’ll pay for insurance too. Generally the larger and more powerful the engine, the more you’re going to pay. Insurance costs can vary widely so be sure to check with your insurance company 'before' buying something. No discussion about engines would be complete without a short mention of engine type. Bikes generally have from one to six cylinders. One and two cylinder bikes will be most common in the sub $6k price point. The two cylinder bikes will likely have the two cylinders in a v-shaped configuration, commonly referred to as a v-twin. V-twin engines are very common on cruiser style bikes. Another common twin engine is a parallel cylinder design. Most bikes in this category have a single cylinder. You never really know if you're going to feel comfortable on a bike until you sit on it. Go to the dealerships and see if you can spend a bit of time sitting on them to get a feel for how it fits you. People come in all shapes and sizes and what's comfortable for one person may not be comfortable for another. Sit on a few bikes so you can feel the difference. If the bike has a 'center stand' ask if it can be put on it so you can sit on the bike in an upright position that will be more like what you'll experience on the road. Can your feet touch the ground flat footed? Is there pressure on your wrists? Is your neck in a strain position? Are your legs in a comfortable position? Is the seat comfortable? These are all things you won't know unless you sit on the bike. Some dealerships may let you test drive a bike, provided you have your licence already of course. It's been my experience that most don't allow test drives though so spend some time sitting on the bike and checking out print or online reviews of the bikes you're interested in. * A center stand is simply a stand that supports the motorcycle in an upright position that's located under the motorcycle frame. They're very useful for performing maintenance and even when you're filling your tank with gas! The bike isn't slanted over to one side. Okay, that hits most of the critical points of what to look for and think about when choosing a bike. Now for the fun! What will my $6k get me? Broken down by category here’s a brief summary of what’s available for 2008. We're not offering a definitive guide here - just an overview and some links to get you started. Air-cooled, SOHC, 2-valve, 60° V-twin, 249 cc engine. With an authentic V-twin engine, the Virago will give you the grunt and growl that you don't often find in the lightweight class. It's also got a low 27” seat height for added confidence, perfect for novice riders. It's a nimble, confidence-inspiring cruiser with heavyweight styling and lightweight packaging. The engine features a wide power band, good acceleration and high fuel efficiency, combined with the simplicity of a single cylinder engine. Hyosung was founded in South Korea in 1978 and started out making motorcycle parts for Suzuki and their own motorcycles in 1987. This bike is a true v-twin that produces class leading horsepower. It'll hit a top speed of about 130 km/hr. Single-cylinder engine, there’s plenty of low- to mid-range torque for everyday ridability. The Buell Motorcycle Company was started by ex-Harley Davidson engineer Eric Buell and became a wholly owned subsidiary by 1998. So technically this is the least expensive Harley you can buy. Another bike that’s a common new-rider bike is the Suzuki GS500. It’s a twin cylinder, air-cooled (no radiator) bike and comes either without a fairing or a fairing. The faired version comes in at an MSRP of $6,799 while the naked version is $6,499. These figures put it above our $6k top price but if you can find a used one it’s well worth the look. The bike has been around for a long time and has a solid reputation for reliability and being beginner friendly. All new for 2008 this Ninja is cheaper than the 2007 ZZR250 which was $6,299; a savings of $2,050. The previous 250 was already very successful so this one should be even more so. With rising costs for gasoline this economical and sporty looking bike should bring in some new riders to the dealerships. It looks a lot like its much more expensive bigger brothers in the ZX line. Features big bike exotic styling - from the sleek fairing with twin cat's-eye headlights to the race-style cast wheels. The narrow tires are the only thing that hint that it's a smaller displacement machine. The CBR125R is a great first bike offering a light and compact package. Colors: Red, Black, 3 two tone variations (2-tone adds $200 to MSRP). The faired version of the Hyosung GT250. This is a value packed machine. It's not cutting edge technology but it's not cutting edge expensive either. You'll have to be a little more cautious of speeding tickets on this one. It apparently tops out at 170 km/hr if given enough room. Another bike that’s a common new-rider bike is the Kawasaki Ninja 500R. It’s a twin cylinder, liquid cooled (has a radiator) bike and comes with a fairing. These figures put it above our $6k top price but if you can find a used one it’s well worth the look. The bike has been around for a long time and has a solid reputation for reliability and being beginner friendly. DUAL PURPOSE (Street and Trail): We'll say up front that dual-sports are pretty versatile machines. They're great for getting around town, cruising around at the cottage, etc. They're capable of hitting the highway but you certainly won't want to spend too much time there. Highway speeds will push the limits of these machines. The 250's would be a bit more able to keep pace. Swapping out sprockets may help give you a bit more top end but you'll sacrifice some low end grunt as a compromise. Do a bit more research on the particular model you're interested in if you'll want to spend time on the highway. Notes: The all new XT250 is designed for ultimate versatility at an inexpensive price. A new 4-stroke engine revs out predictable power, while a wide-ratio 5-speed transmission and class-leading low seat height gives you both performance and ease of use. The XT250's 4-stroke engine puts out strong, predictable torque across the entire RPM range for great on- and off-road fun. This would make a great bike for getting around the city, trips to the cottage, and maybe a short highway ride too. Notes: 4-stroke single delivers torquey low- and mid-range power perfectly suited to off-road exploring. quiet. It comes with a washable, foam air filter which helps reduce maintenance costs. Wide, 130/80-18 front and 180/80-14 rear tires deliver extra traction and rider comfort over a wide range of terrain, and also help make the TW200 the most distinct-looking dual purpose machine in the industry. 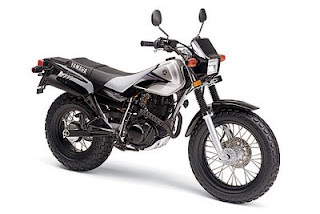 You can't mistake the TW200 for any other bike on the roads with its super wide tires. This is a particularly good bike for beginners and gets fantastic fuel economy. Notes: Engine produces strong, low-rpm torque perfect for the entry level rider to effortlessly zip you around town or forest trails. Nice light weight package. It can drive at highway speed but you won't want to spend too much time there. You're going to get plenty of miles from home when you put a few bucks in the tank of this one; its 199 cc engine sips miserly amounts of fuel. Liquid-cooled, 4-stroke, single cylinder, 249 cc engine. Notes: Most bikes in this category get amazing fuel economy, and the KLX250S is no exception. 70+ MPG would not be uncommon. It's a great bike straight from the factory but many people seem to like making some adjustments to get a few easy extra horsepower out of this one. Emissions standards have it running lean (a little too much air and too little fuel). You might want to look at a new exhaust and what's referred to as a jet kit (which will add a little more fuel to the mix). Notes: Dependable engine offers plenty of user-friendly power and lots of torque spread over a wide rpm-range. As with the other dual-sports it's not the best tool for highway excursions. Top speed for the CRF230L is right around the highway speed limit. Yamaha’s cool little BW scooter can be found in many city’s and towns across Canada being driven by drivers whose idea of a fancy dinner might be adding some hotdogs to their KD, yup that’s right, college kids! The BW has been around for a number of years and has been a top seller. It’s a really popular model owing to its sporty looks, two big headlights, and big wheels which give it aggressive go anywhere styling. It looks a bit like a scooter/dirt bike hybrid which raises its cool factor. Scooters are no longer the sole domain of college kids. The rising costs of operating a car, even the most efficient compact, have risen to a level where scooters have come back into focus as a viable transportation option for many Canadians. A growing number of people are falling in love with the 49cc air cooled reed-value 2-stroke engined BW. They have become very popular amongst scooter commuters. People with RV’s just love these things too! They’re the perfect way for zipping around town, not to mention the fact that they burn practically no fuel. Yamaha claims a figure of over 120 mpg. That’s 120 mpg + based on 40km/hr speed on level ground. Chances are you won’t be driving in these perfect conditions but you’re still going to get better fuel economy than just about everything else on the road. With a fuel capacity of 5.7 litres that’s a theoretical range in perfect conditions of about 250 km. So if you’re doing the math, even with Montreal’s high gas price right now of $1.20/litre that’s less than $7 for a fill up. Those kinds of numbers ought to make any stares and laughter you might be the brunt of when you pull up to work on one of these quite a bit easier to take. But hey, if they knew how fun these were to drive they’d have one too! Sales of scooters have risen dramatically in the last few years, a 400% increase since 1999 in fact. They’re particularly popular in the province of Quebec. As many as six out of 10 scooters sold in Canada are sold in Quebec. This is partly because driving laws there allow 14-year olds to drive under 50cc sized scooters. Limited (and expensive!) parking and downtown congestion also add heavily to the appeal of the BW. The under 50cc requirement allowing 14 year old riders to drive scooters is a big reason that the small displacement scooters are 49cc and not 50. Laws covering the age requirement do vary across the country so better check your local area before laying down your cash. Alberta and New Brunswick feature similar age requirements when it comes to scooters. Yamaha Canada love scooters, that’s for sure – they’ve seen sales growth of a whopping 25% between 2005 and 2006. During this same period their motorcycle line sales grew at less than one percent. This kind of growth hasn’t gone unnoticed and there’s now a bevy of companies manufacturing scooters for the Canadian market. The familiar names are there, Yamaha, Honda, Vespa, and Piaggio but punch in “scooter sales in Canada” in any search engine and you’ll find a quite a few other Asian manufacturers with models available in Canada. Many of these are offered at very competitive prices too. The BW has a fully automatic transmission and push button start and even has a back up kick start so you won't get stranded if your battery runs low. The 2-stroke engine ensures peppy performance that’s delivered a little quicker than the 4-stroke Yamaha C-Cubed. The C-Cubed is another 49cc scooter in the Yamaha stable. The C-Cubed is a bit quieter and has a lower and larger seat so if you’re looking for something a little less “hooligan” the C Cubed is certainly worth a look. The BW has also been equipped with a new catalyzer in the exhaust which helps reduce emissions. You don't have to worry about mixing the oil and gas like your old lawnmower either; the Yamaha is equipped with an autolube oil injection system that mixes the precise amounts of oil and gas you need automatically. You just add the gas and you’re ready to go! Need to pick up some groceries on your way home? There’s a storage compartment under the seat that you can use to stow small packages. If you’re not using it for storage it’s a great spot to lock away your helmet. There’s also a rear carrier if you need to haul something a little larger around too. Front 180mm disc brakes and a drum brake in the rear provide plenty of stopping power. You get a telescopic fork in the front and single shock unit swingarm in the rear. Tires are 120/90-10’s in the front and an even fatter 130/90-10 in the rear. BW means “Big Wheel” and these ones are nice and wide for a scooter so they’re great for soaking up bumps and crossing streetcar tracks. You’ll need those big wheels to put all 5.1 ft-lbs of torque at 6,000 RPM to the ground! Okay – maybe that’s a bit of an exaggeration but this thing is so small and light (207 lbs wet) that’s plenty for getting around town. Reviews say that they’ll do just about 70km/hr. You won’t want to hit the highway on this one. There’s room for a passenger on back too but you might want to avoid hills and quick moving traffic if you do though. Big hills will slow down the scooter a bit with one rider so adding a friend might make you a bit slower than fast moving traffic or on some hills. Colors available for 2008 are Yamaha Blue, Metallic Black, Vivid Yellow. Need financing for your new beast? Yamaha recommends applying for their Credit Card Program for Yamaha products that cost less than $3,000. According to Yamaha you can have your approval within minutes of applying. The BW comes in at an MSRP of $2,899 so provided you’ve got a few hundred bucks kicking around you should be able to take one of these home without too much fuss. If you think 49cc won’t suit your needs – maybe you need something to keep up with traffic on secondary roads or maybe you need something that will keep up with traffic on the highway. Fear not, there are plenty of options. Scooters are available in many different sizes and you can get everything from 49cc on up to 650cc models. Not sure if riding on two wheels is for you? Piaggio even offers a three wheeled scooter called the MP3. You won't even have to put your feet down at stop signs with this thing. Learning to Ride - Safely! So you want to learn to ride a motorcycle do you? Whether you're doing it because it's cool, it's something you've always wanted to do, or for practical reasons such as providing economical transportation there are some basics that you'll want to consider. Licensing - Driver's license are issued by the province of residence and many of them have specific regulations when it comes to getting your license. So you should check the regulations in your province to determine what your situation will be. Some common early restrictions are related to bike motorcycle engine size, traveling at night, on certain roadways and the blood alcohol allowed. Gear - You're going to need a certain amount of protective clothing if you're going to ride. If you're not sure about whether you're going to get into it at the minimum you're still going to need some proper footwear with some ankle protection - don't bring your running shoes! Steel toe boots aren't the greatest either because you can't feel the clutch very well. Ask the folks running the course and they'll be able to provide some suggestions on this. You'll need a pair of gloves, a proper jacket, and most importantly a helmet. Make sure it's a DOT approved helmet and that it fits properly. If you're going to buy a bike, most dealers will offer a discount on gear when you buy your bike. 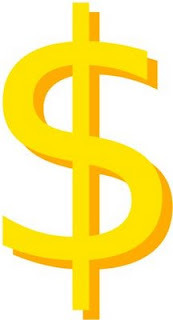 Don't forget to factor the cost of these very important extras when determining your budget. Your gear might just save your life! Training - This is important! It may even be mandatory in your province that you take one of these courses. Motorcycles take a certain amount of skill to ride safely - do yourself a favor and take a course on how to ride one. It's not necessarily the best idea to learn from a friend because chances are they are not trained in the latest safety techniques and even if they are safe riders they may have picked up some bad habits over the years. I personally took the Canada Safety Council course and have nothing but positive to say about it. In the program I took they even brought the examiners from Motor Vehicle on the final day to conduct a driving test which we could do on the bikes provided in the course. This was great, especially if you don't already have a motorcycle! You can take the course, and see if you like it. Insurance: Motorcycle insurance rates vary widely and its something you should look into before making a purchase. Motorcycles are much smaller than cars so they can be easier to steal. When involved in an accident, particularly with another vehicle, they also typically sustain high dollar value damage because of the smaller size and weight of the vehicle. Another reason to make sure you're wearing the proper gear. Pretend you're invisible to motorists! Your first bike - Some people think that bigger is better when it comes to bike size. This is simply not the case! Think about the type of riding you're going to be doing and remember that when you're learning you're more likely to drop the bike or have accidents. Consider getting a smaller, perhaps used bike that you can upgrade after you've past this initial stage. Sport bikes in particular are extremely powerful machines and they're not meant for novice riders. Some dealers won't even sell these machines to riders who don't have experience but these tend to be the exception. Hayabusa is not japanese for "beginner"! Everybody has an opinion on this it seems - a bike is only as safe as it's driver but large displacement sport bikes have a power-to-weight ratio comparable to or superior to high end sports cars so you can get yourself in a lot of trouble very quickly. My first bike was a Suzuki GS500 and I loved it! I rode it for four years and the bike got more and more fun to me. It is fairly forgiving if you make some little mistakes. It's powerful enough to ride the highway comfortably (even with two people) and small enough to make it a pleasure to drive around town. You get to use all the gears unlike some large displacement - high power bikes that can break most speed limits in first or second gear. At this point I've driven a lot of different bikes and can say that there is a HUGE difference between a 500 cc bike and a 600 cc sport bike. They are designed with racing in mind and they perform like it - you need to be very smooth, which is something you're not likely to be right away. If you're a fan of cruisers you could probably safely ride something a little larger displacement and not worry about it too much. These types of bikes have a low center of gravity and produce more torque. They can be a little tricky to drive slow and around the city where you'll encounter a lot of stop and go traffic and turning. If you drop them they can be really tough to pick back up too. Something you might have to do on occasion as a new rider. Honda is one company that seems to believe in the bigger is not better motto. They've got a 125 cc small displacement sport bike called the CBR125R that they were reportedly selling at a small loss. It looks a lot like the bigger sports bikes but is a lot easier for a beginner to handle and could make a great commuter bike. Check out local resources such as a local newsgroups of motorcycle enthusiasts. They'll often be able to offer advice on where to get a good new or used bike. Lots of them have a forum with buy and sell area. Check out our Regional Resources section for sites in your area.